Formed in Texas as an observer squadron in 1917, the famed 90th was sent to France and initially assigned to build roads and barracks! The fliers didn’t have to live with their disappointment for long. 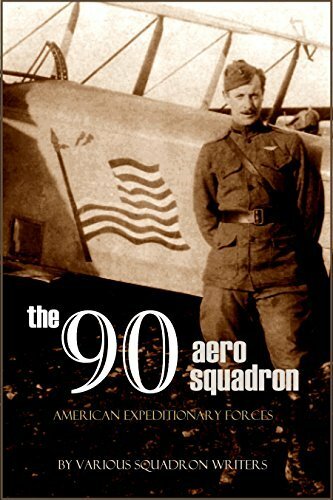 Composed of a remarkable cross-section of American youth, they soon found themselves in the thick of the fighting in the skies above WWI France. Several pilots were cited for distinction and, of course, the squadron lost friends to combat.